13 LISTS Gamer Trivia & Easter EggsLists of things to look out for. The developers are winking at you. The Creepiest Easter Eggs in Game History Things to Spot in GTA Universe Fun Facts About Super Mario Bros. Creepy Easter Eggs in Red Dead Redemption II Easter Eggs You Might Have Missed Skyrim Easter Eggs Mysterious Hidden Levels The Very First Easter Eggs Five Nights at Freddy's Characters Based on Famous Celebrities Hidden in Red Dead Redemption 2 Easter Eggs in the Hitman Franchise Pokemon: Let's Go, Pikachu! List Rules Vote up the spookiest Easter eggs in non-horror video games. Video game Easter eggs are almost as old as video games themselves. The first one appeared in 1979's Adventure, an Atari 2600 game, which involved its creator hiding his name in the game's code. The text had to be unlocked to be viewed by the player, a trick inspired by the hidden lyrics the Beatles had snuck into their records. Since then, Easter eggs quickly became popular not only in video games but among lots of other media, too. These secret tidbits can consist of anything from pop culture references, extra levels, character information, and audio files, to cheat codes, concealed messages, and fourth-wall-breaking developer's offices and cameos. Anything that seems amiss or diverts from normal gameplay is probably a deliberate wink and a nod from the programmers directly to the player. Outside of the horror genre, Easter eggs are usually exciting to discover and fun to experience. However, there are also plenty of times when games that seem perfectly harmless have genuinely scared us by throwing an unexpectedly creepy one our way. The Grand Theft Auto games are jam-packed with weird little subplots, from alien spacecraft to Bigfoot sightings. Naturally, GTA:V continues this trend by having players come face to face with the paranormal, too. If you go to the south side of Mount Gordo between 11 pm and midnight, you can then use your camera phone to zoom in on a specific peak, where a ghost girl will materialize. Get too close, and she vanishes. Clues about why she's there are littered around the game, including on the front page of an old newspaper featuring a story about "Jock," a wannabe stuntman, whose wife tragically stumbled off the cliff edge. And if that weren't enough, his name occasionally appears splattered in blood across the rocks right before his wife's spirit emerges. Is this a creepy Easter egg? This disturbing Easter egg isn't even in a game. 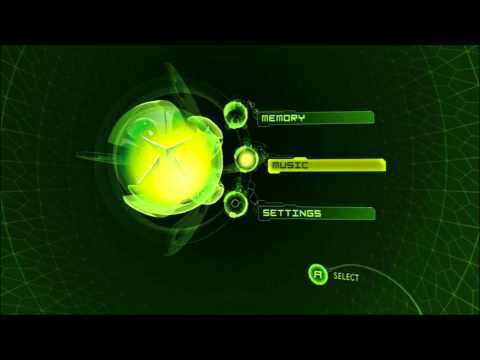 Some players might remember that leaving an original Xbox on the dashboard screen for a certain amount of time triggers a strange, garbled audio message. Imagine being woken up to this after nodding off with your console still running. After a few years, someone finally identified the source of the audio - they were snippets of Apollo 11 mission chats with NASA, recordings that are in the public domain. You can listen to the undoctored version of the audio online. Stanley Kubrick's The Shining taught us that nothing is scarier than an empty hotel, and one mission in Hitman: Codename 47 reinforces this lesson. During the mission dubbed "Traditions of the Trade," a room in a shutdown hotel will suddenly become occupied by a ghost if you stare at the right place for long enough. Before this, a police officer in the hallway will inform you that a severe mishap had occurred. What's even more surprising is that you can wipe out the spirit just like any other living target, making its existence even more of a misnomer. In the second part of the Burial at Sea expansion for BioShock Infinite, the player takes a boat ride through murky waters where, if you glance down, you can see floating lifeless bodies of what looks like different Elizabeths - one of the principal characters in the franchise. This could be a reference to the River Styx from ancient Greek mythology, which was believed to connect our world to the underworld. Without payment to the river's ferryman, who provided safe passage in his boat, souls would be bound to drift through its waters aimlessly.